I have a fun tutorial for you today! 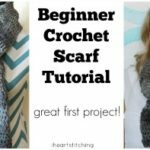 This is an easy crochet pumpkin! 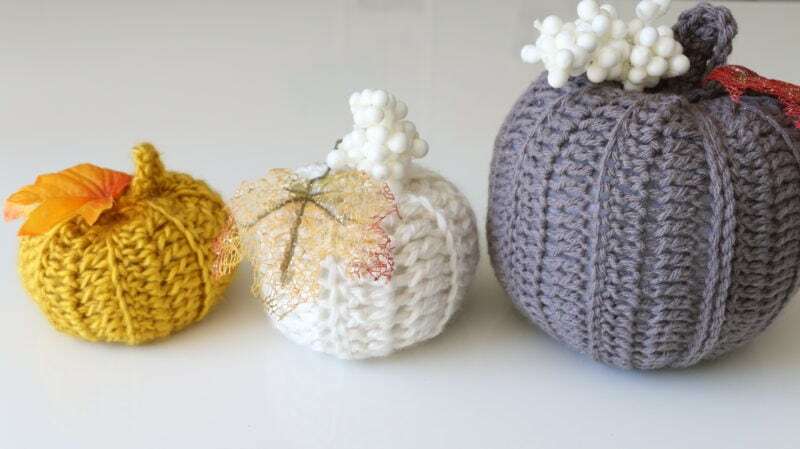 I wanted to make this easy for beginners to make, so I experimented and came up with this method which makes it easy and relies more on the sewing of the pumpkin to create the shape rather than increasing and decreasing stitches like you would in amigurumi. 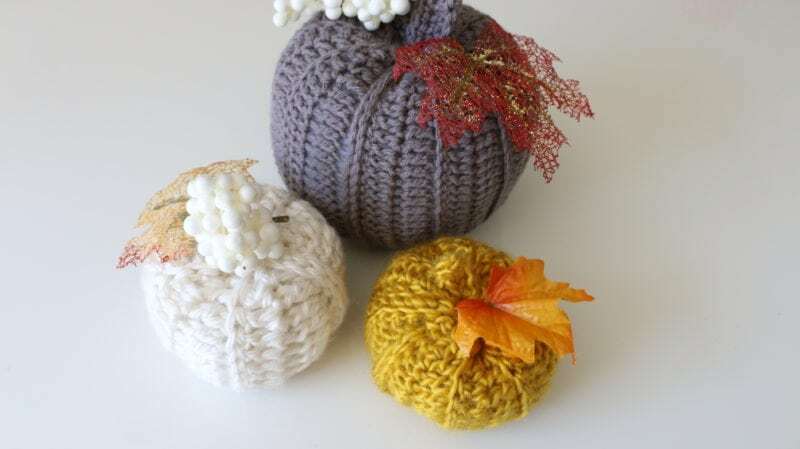 The yellow pumpkin is make from LionBrand landscapes yarn, the white is Bernat Softee Chunky yarn, and the grey is the Big Twist worsted weight size 4 yarn which is very similar to Red Heart Super Saver or Vanna’s Choice. -Insert hook in 3rd chain from hook and dc in each chain going all the way down. -repeat, alternating rows so the ridge stays on the front side to desired size. Length should be about twice the width and not much more. -Once desired length is reached, connect 2 short ends so that ridges face out. Slip stitch to connect the ends. 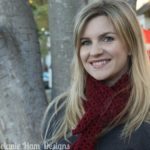 -Fasten off and leave a long tail, use a yarn needle and create a gathering stitch to close up the end. -Add poly-fil, make it full but not overstuffed. 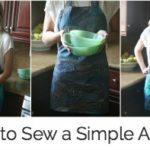 -Use yarn needle to sew the middle of the top and the middle of the bottom to “squish” the shape and make it more pumpkin like. Create custom stem if desired and add garland or leaves as decoration, I got my decor from the dollar store. 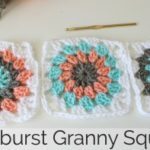 These are so cute and a fast easy project! I love this idea. I am making these right now!!! Thank you!